IKEA UAE Blog » Bathroom » How do you like your bathroom? How do you like your bathroom? If you’re like most of us, probably the only place where you get some time alone is the bathroom. Most people prefer to keep their bathroom furnishings basic and functional. That being said, there’s no reason why you shouldn’t make it more pleasant with a few personal touches to stop it from being just functional. Let’s begin with the basics, namely lighting. A dark, dingy bathroom is quite unappealing, not to mention dangerous (you don’t want to slip in that puddle of water do you?). 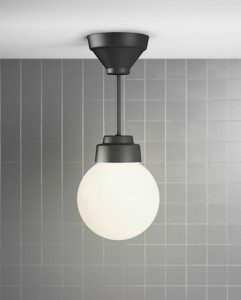 You can choose to have more than one type of light fixture to suit your different needs. A ceiling lamp can provide illumination for the entire room, but you should still have lights on either side of the mirror or a mini spot light to ensure a shadow-free view of your face every day especially if you’re a woman who applies make-up in the bathroom. For those of you who can’t stand bright lighting, opt for ambient light with a wall lamp. Next comes the indispensable mirrors. Bathroom mirrors are the one place where you probably take a really long hard look at yourself, be it spotting a zit or checking out the pallor of your face. Go for a mirror in a sturdy frame that can handle the bathroom humidity. If you want to keep things simple, opt for a mirror cabinet. On the other hand, you can have an additional high cabinet with a mirror that stores your bathroom essentials. Window curtains, bathmats and shower curtains are probably the easiest ways to add character to a bathroom without sacrificing practicality. You just can’t do without a shower curtain especially if you have a compact space that houses both the sanitary fixtures and the shower. Go for one in a big fun graphic print to add eccentricity to your bath or choose one in a bright colourful pattern if you like colour. Just keep in mind that big busy prints can be overwhelming and therefore it can be a bit too much in a compact space. A simple two-toned shower curtain is an easy way to add elegance to your bathroom while being utilitarian.